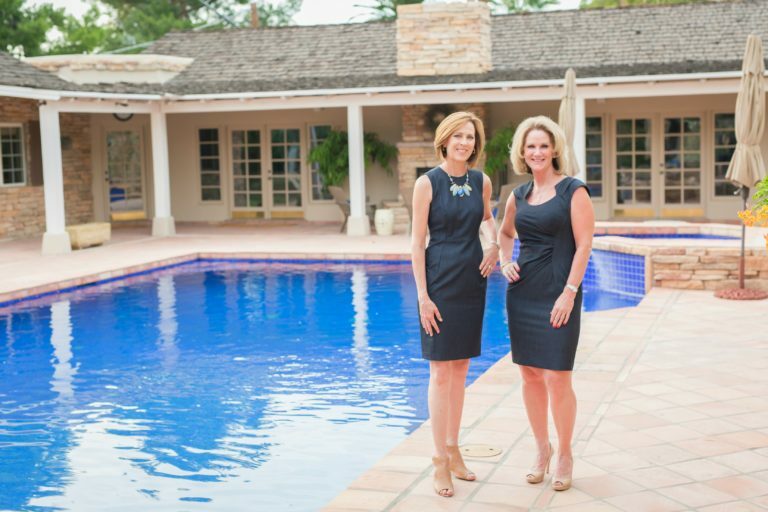 As a team we bring 40+ years of combined real estate experience to work for you. Both Shelly and Ronda are native Phoenicians with a deep connection to Arizona. Shelly is a fourth generation Arizonan while Ronda’s family history goes back 5 generations. Both live in the North Central Corridor and are actively involved in their community. When you hire Shelly and Ronda you get two professional Realtors for the price of one. They have joined forces to serve their clients at a higher level by combining their knowledge and experience. Ronda has been a professional real estate agent for 23 years while Shelly has been practicing for 16. Their combined 39 years of experience brings a distinct advantage to their buyers and sellers. Shelly and Ronda provide double coverage and are always available to take sign calls, setup appointments, stage a home, attend inspections and be available to provide the service their clients deserve. All of Shelly and Ronda’s listings are marketed to their sphere of clients and friends and as native Phoenicians they know a lot of people in the Valley of the Sun. Every effort is made to keep their sphere of influence apprised of their listings and buyer needs. Working with other agents is key to their success and they have an established reputation amongst their peers as professional Realtors who work hard to get the deal done. They attend several marketing session meetings a month and keep the North Central real estate agents current on all their listings. Our mission is to provide the most professional, informative, loyal and dedicated service in the industry. The best interests of our clients will always come first as we are dedicated to the development of long-term client relationships! Our team-approach philosophy ensures your needs are important to each and every member of our team. Our goal is to provide accurate and up-to-date information, skilled analysis and sound real estate advice. We strive to continually explore new ideas and technology, to make the selling and buying of real estate faster, less costly, and easier. LEARN MORE about Shelly Lane here and Ronda Cronin here.